Real Time, Real People, Real Hairdos! Welcome to our family of premium DVDs. Each DVD was created by our expert foilist and each will walk you through the process of creating fabulous works of foiling art from start to end. 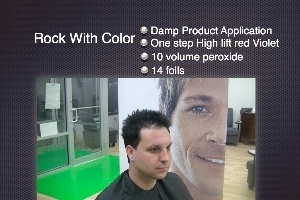 Let us share our secret formations, techniques and preferred coloring solutions. Many DVDs are in HD and each is over a half hour long. Jump-Start your Foiling Career Now! Add depth by adding a rich deep lowlight color with a touch of mahogany red. 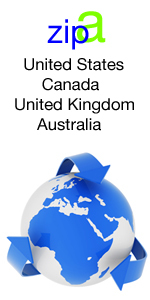 This is a simple application that takes no time. This technique creates a rich, full all-around look. 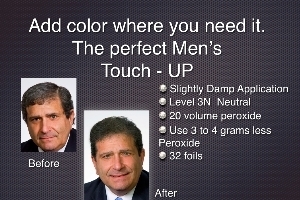 This is truly the perfect men's touch-up. Just by adding some of the natural color back to the overall appearance with foils, you can cover grey naturally and produce a salt and pepper look. 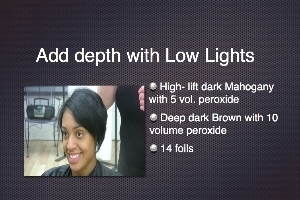 This is a short hair coloring technique that can be simulated on women and a must see. Back to Back Foiling Techniques! 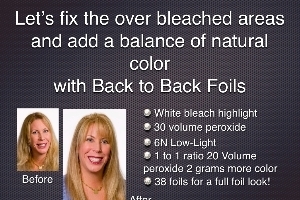 This is a fantastic back-to-back foiling technique that will cure unwanted over colored hair results. Rock with color. This technique is a cool way of tattooing any design on the shortest of hair using foils. The Power of Placing your Foils on Angles! 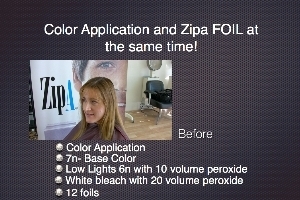 Apply Color and Foil at the Same Time! This technique is about combining two applications at the same time. 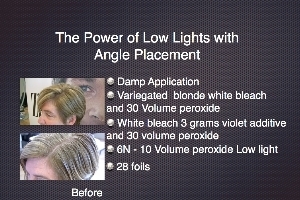 Fast and easy with great results. Vibrant highlights without any warm roots. Accent the Part, Create a Look! Accent the part and create a look with angle placement of foils. 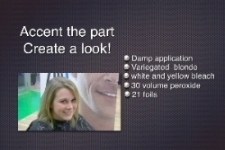 This application is a partial foil with a big girls look.